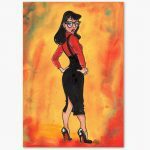 This original inked pinup illustration was created by Mark Sheard during his 2018 Pinuptober Event. Sketched up using a col-erase pencil and then finished using only inks, this pinup beauty is finely crafted with a most professional flourish. 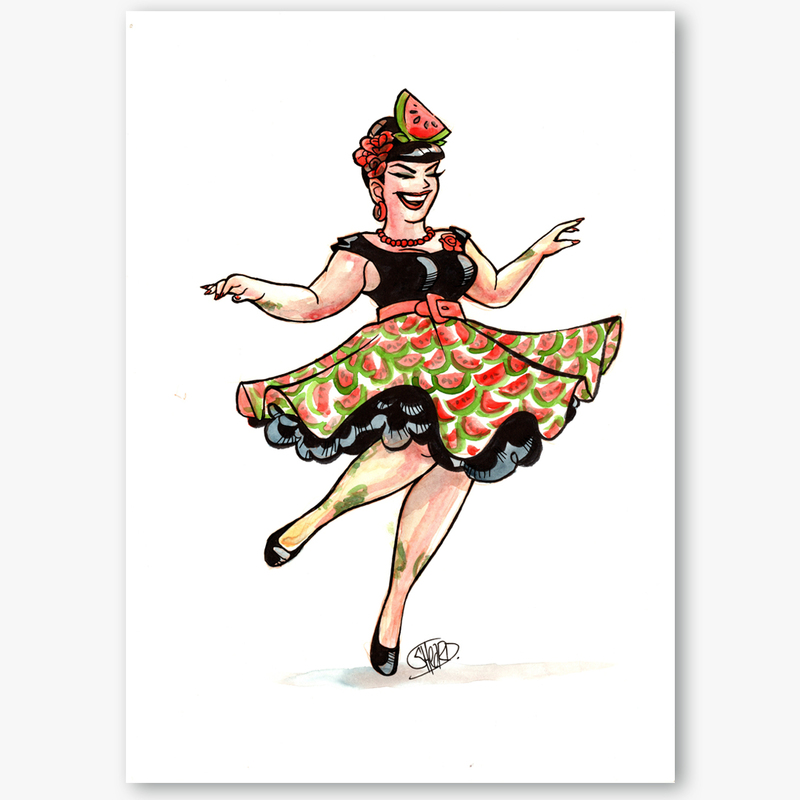 The theme for this Pinuptober belle was “Fruity” and features the effervescent Miss Lulu Lipstick in a watermelon frock doing a twirl.